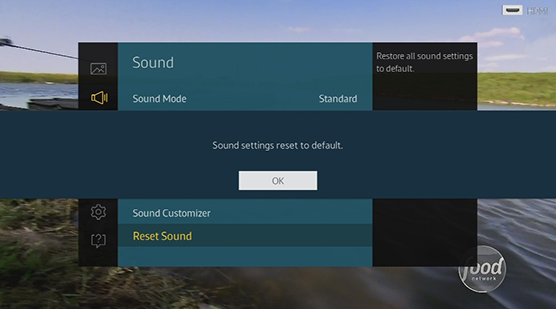 You can reset all sound settings to the factory defaults. 1 Press the MENU button on the remote. Note: When using the Smart Control remote, select Menu in the upper left hand corner. 2 Select the Sound sub menu. 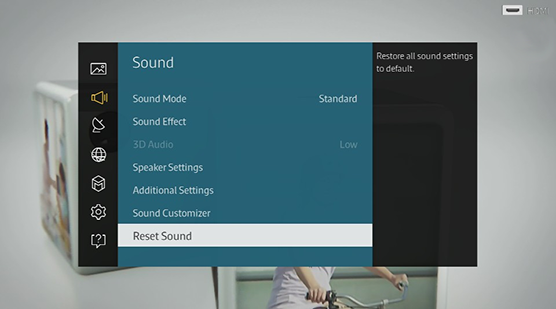 3 Navigate to and select Reset Sound. 4 A confirmation popup appears. Select Yes to continue. 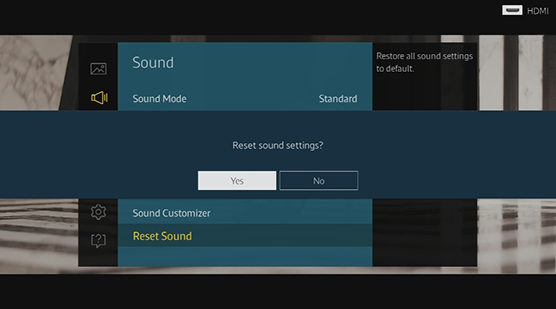 5 The sound settings have been returned to factory default. 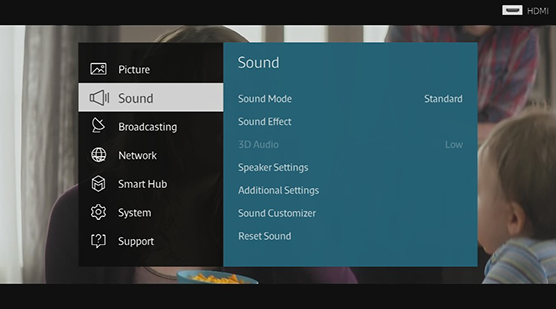 How do I set up Clear Voice on my Samsung 2013 Smart TV?